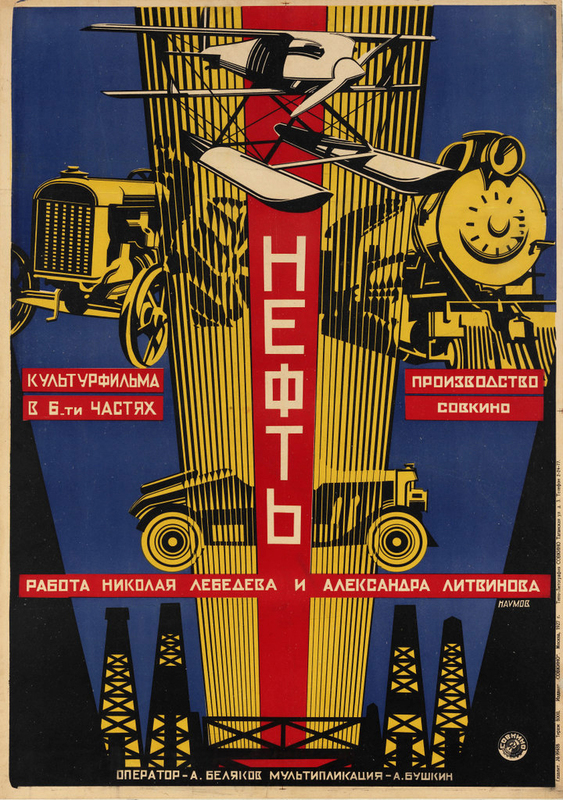 An exhibition which explores the golden age of Soviet film posters is currently on show at GRAD: Gallery for Russian Arts and Design in London. The exhibition is co-curated by Elena Sudakova, director of GRAD, and film critic and art historian Lutz Becker. The 1920s saw the advent of new and radical graphic design created to advertise silent films across the Soviet Union. Film posters of this era have become masterpieces in their own right, produced at a time when innovative on-screen techniques were being incorporated into the design of advertisements. Over 30 works by Aleksandr Rodchenko, the brothers Georgii and Vladimir Stenberg, Yakov Ruklevsky, Aleksandr Naumov, Mikhail Dlugach and Nikolai Prusakov, will be on display until March 29th, 2014. To learn more about the exhibition and take a look at these amazing posters visit the GRAD website.